I love the scent of grass! Immediately brings back the memories of fresh cut grass while mowing the lawn, playing football, grass stains, and above all being free and one with nature! 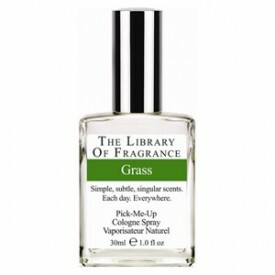 Now you can bring the scent of refreshing grass cologne even if you live in the desert. This Grass scented perfume coupled with the Dirt and Leather Fragrance would be a great gift idea for that baseball lover. Spring training brings all these Scents to life at the start of every summer.